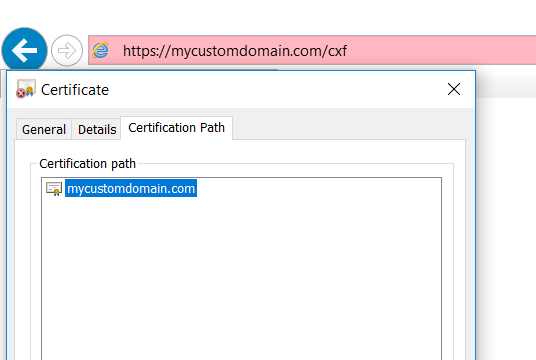 When configuring a custom domain you can decide if you want it to be accessed via client certificate authentication or not. 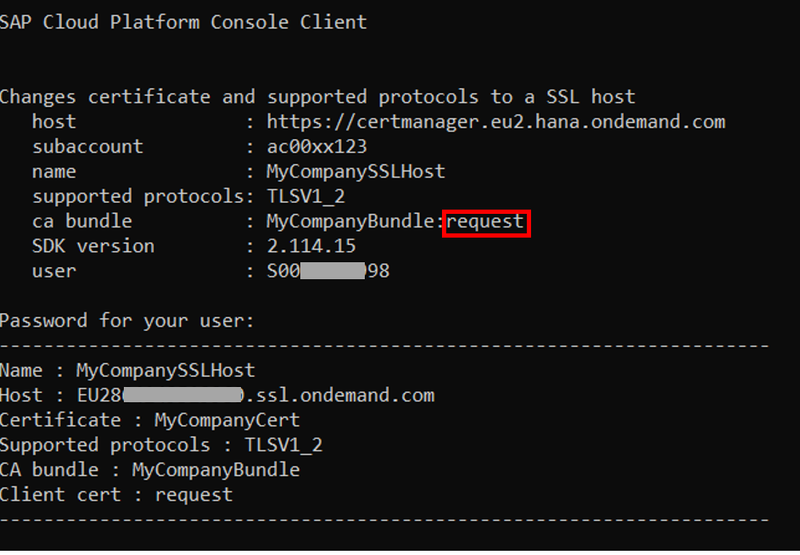 This is achieved by the switch require or request using the set-ssl-host neo java sdk command. Set the switch to request. Call the WS from SoapUI. Insert username and password and test the connection. Set the switch to require. Call the WS from SoapUI. 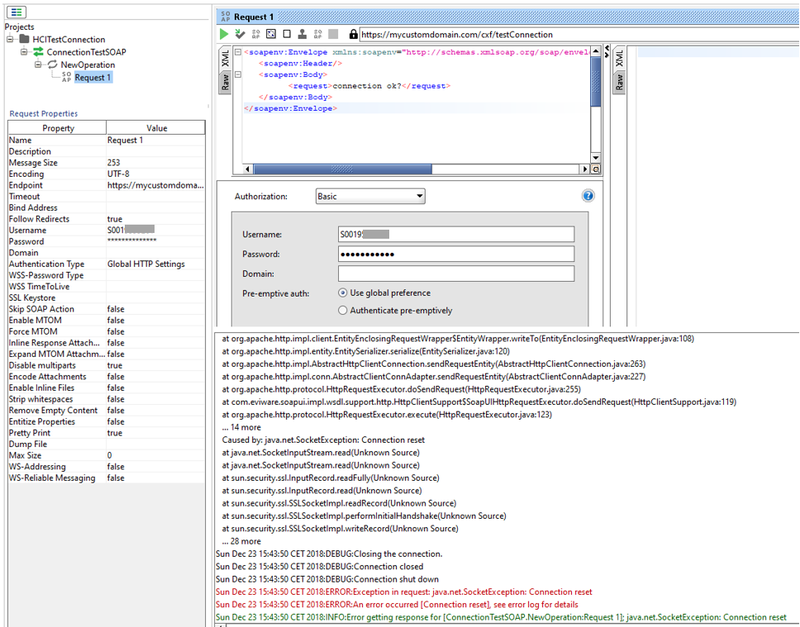 Insert username and password and test the connection: an error is prompted (Connection reset). 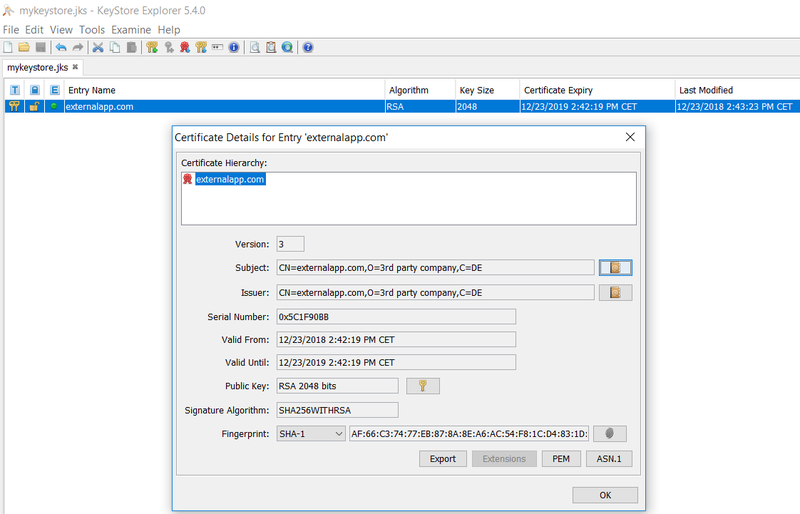 Let’s create a certificate with KeyStore Explorer. It’ll be used for the SSL client authentication. 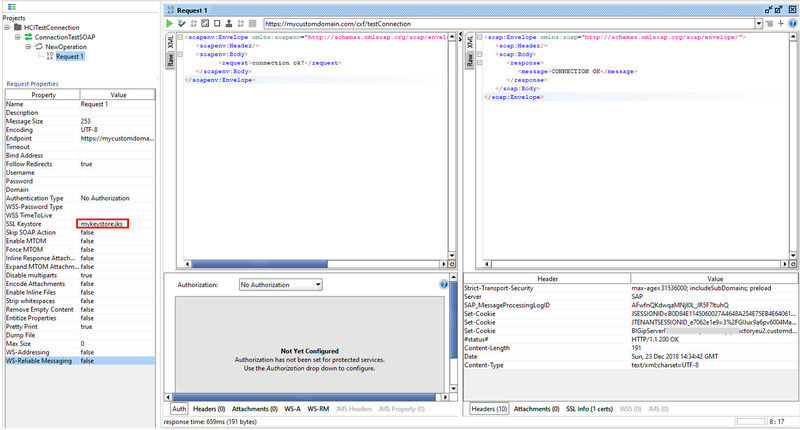 Add a certificate-to-user mapping entry in SCPI. 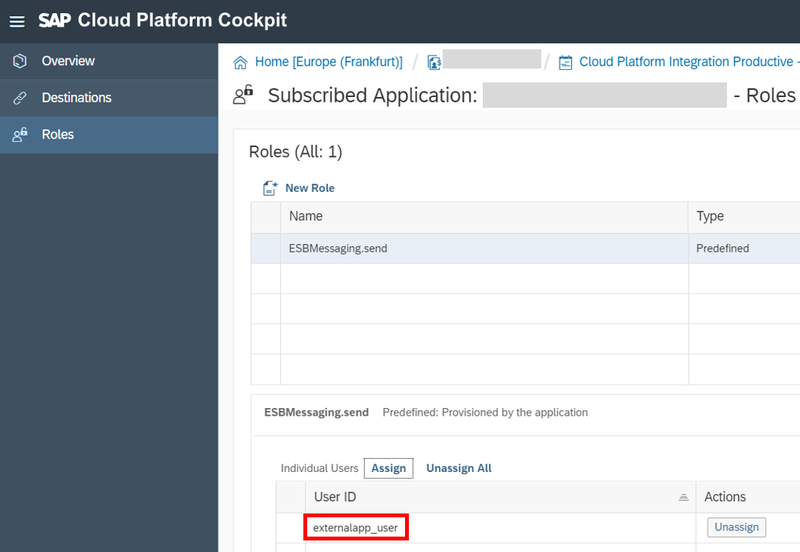 Assign role ESBMessaging.send to the just created username. Load the jks file into SoapUI. For more information on how to do it, go through this page. If you contact your custom domain from browser, you will see a different response depending on the switch. 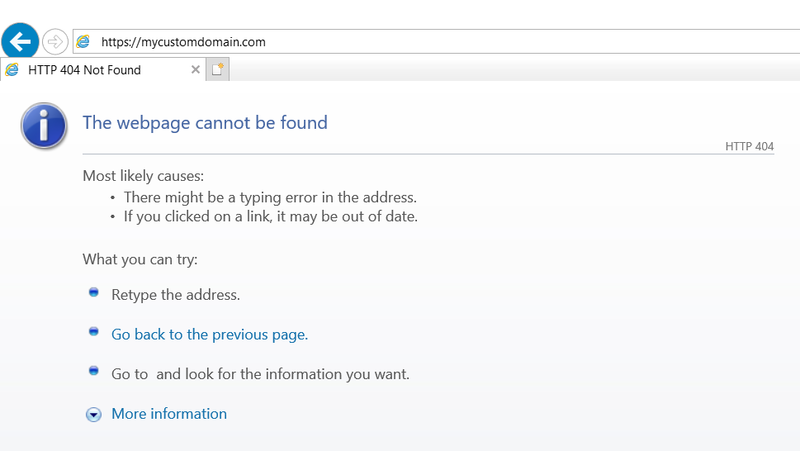 By calling the cxf resource, the server responds with the domain certificate. 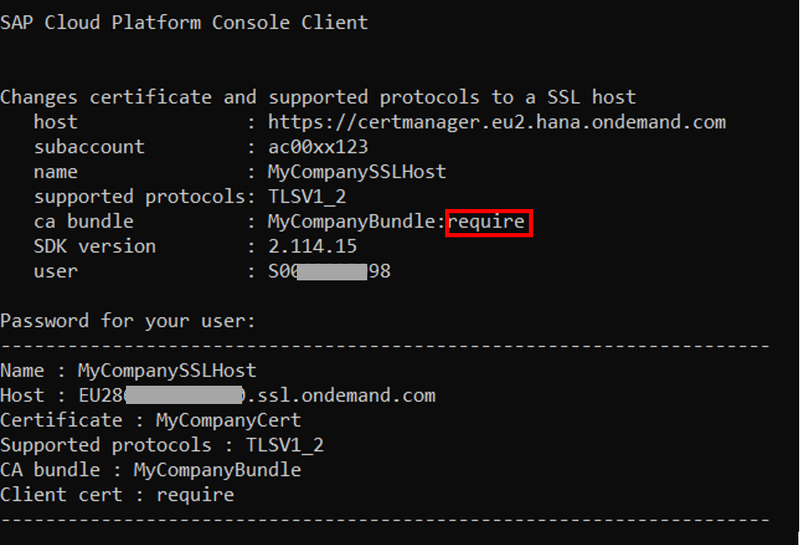 Whereas if the switch require is set, the certificate is not even shown.